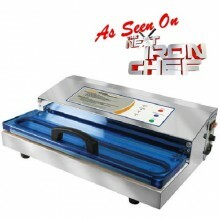 For commercial or household use, these high-powered vacuum sealers get the job done with ease! Perfect for protecting domestic meats, game, fish, vegetables or your personal possessions like silver and valuable documents. Click the button below to add the Weston PRO Series Vacuum Sealers to your wish list.